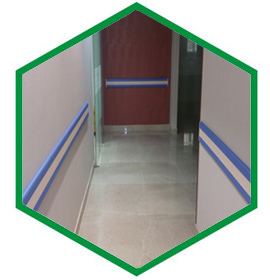 Wall guard, handrail and corner guard made up of aluminum extruded material with PVC cover to protect the wall in the hospital corridor. 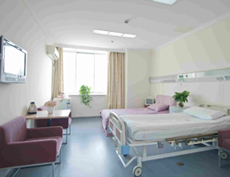 It provide grip over the corridor for the passerby and to give a first line of defense against everyday abuse in high traffic areas for hospital. Wall protection system can dramatically reduce maintenance and repair expense over the time.